Our next Pilgrim course will begin on Wednesday 30th January 2019, every Wednesday for six weeks (with a break on the 6th March). We will be looking at The Eucharist. The evenings will begin at 5.30pm in St George’s House, with a meal, followed by the course which begins at 6.00pm and finishes at 7.30pm.There is no charge for the meal, but donations are welcomed. 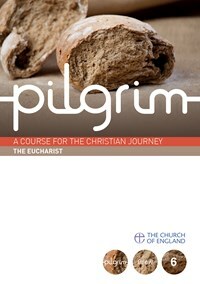 The Pilgrim course is for everyone, for those who have been to the earlier Pilgrim evenings, and for anyone coming to them new. The evenings involve being together over a meal, watching short videos, listening to short recorded reflections, talking together and having group discussions exploring, our Christian faith and looking at what difference being a Christian makes. Everyone is warmly invited to come along.